It’s crazy to think how big the internet has gotten in the previous 10-15 years. I still remember the days of AOL, Netzero, and DSL. How did we survive searching the web at 56K speeds?! Downloading one song on Napster could take hours. Yes I said Napster, if you know what that was you are probably LOLing… Now we have super crazy fast internet where everything is literally right at our fingertips in a split second. One big thing we find ourselves doing on the internet these days is shopping, we all know how big e-commerce has become. So big to where you never have to physical shop for anything, you can just have everything delivered to your doorstep. Now we all know about the “Big Dogs” in e-commerce such as: Amazon, E-Bay, Best Buy. But there are so many “Little Dogs” out there that Tarah and I like to use. We love the companies that have unique products at an awesome price. We would like to share with you some of our favorite sites we like to visit to find all sorts of products. Tanga.com is one that we frequent often, where you can find all sorts of things from jewelry, to electronics, to clothing and much more. But our favorite site as of late is Uncommon Goods. The name pretty much explains it all as you can find amazing products that you would have never thought existed. So if you are a compulsive shopper it might be best for your bank account if you did not click on the link. 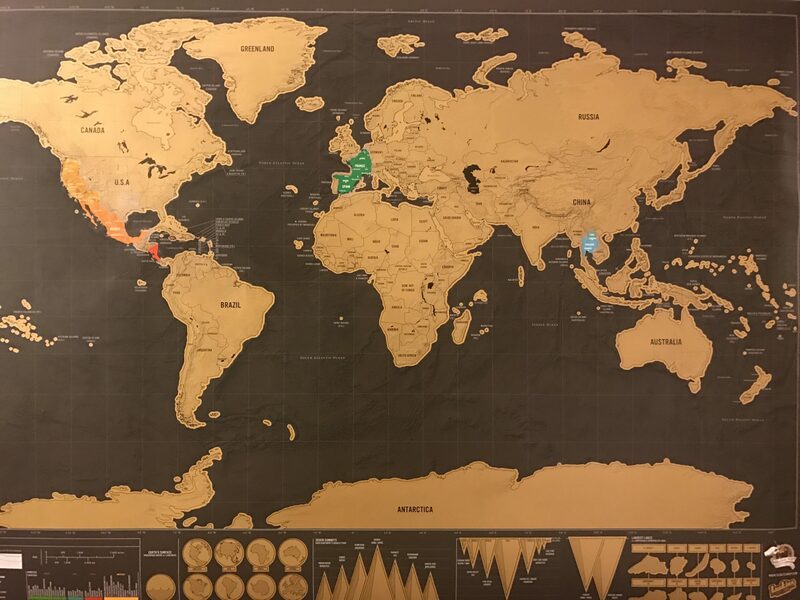 Above is a travel map we just recently bought and received on our doorstep a couple of days later. 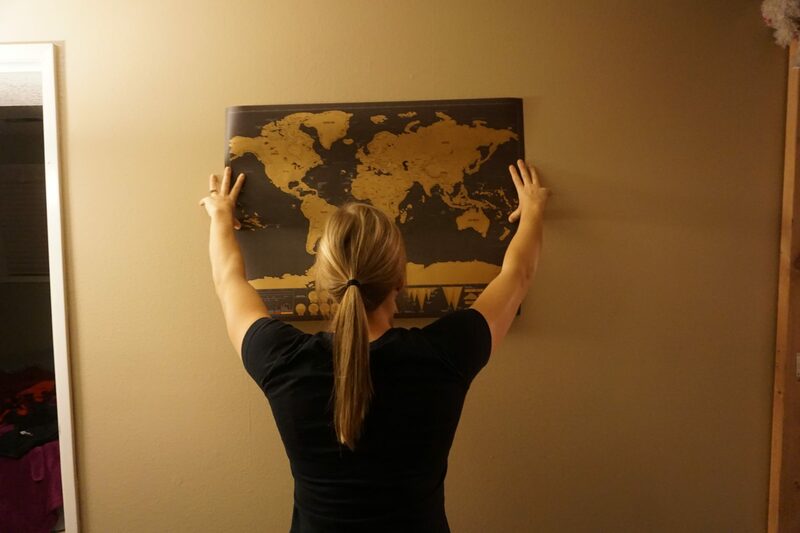 We had always talked about wanting to buy a map and mark off all the places we have visited together and we finally pulled the trigger on this one when we stumbled upon it on UncommonGoods. 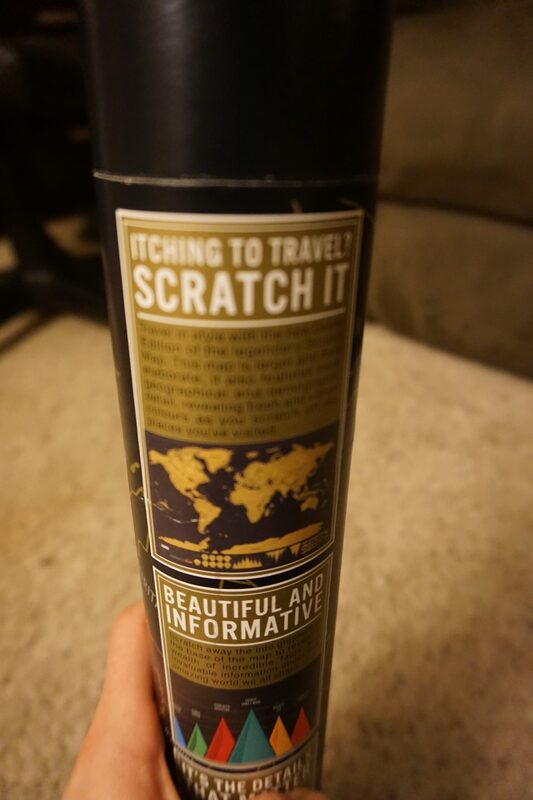 It’s a cute little travel map, where we can scratch off the countries we’ve been. 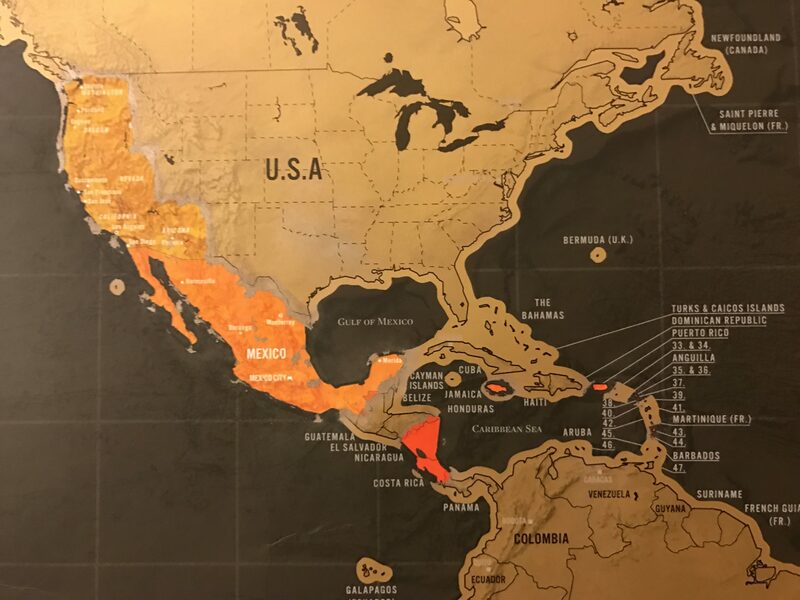 This is a great way to keep track of all the places we’ve visited and will help us stay motivated to keep traveling and scratching more countries off of our list. 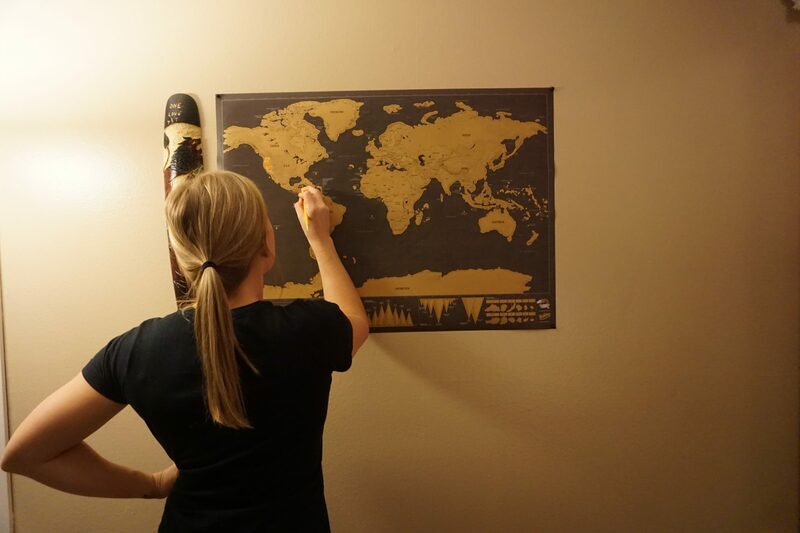 We think every travel enthusiast should own one of these! There are plenty of travel products to choose from, but that’s not all the website sells. With the holiday season upon us this is a great website to spice up your gift giving ideas. Can’t think of what to get mom for Christmas? Click here to make things a little easier for you. What about dad, tired of giving him ties and pajamas for Christmas? Click here to find the perfect gift for dad. If you are looking for a special Christmas gift for you significant other click here for women or click here for men. They love to give back! They have a program called “Better to Give” which allows you to donate a $1 donation to a select group of non-profit organization at checkout. UncommonGoods has donated over $1,000,000 since they started the program. Pretty cool in our eyes. Uncommon Goods is a new favorite shopping site for us. We will be using this site regularly as we love the unique products we have seen and purchased from them. Also we like the kind-hearted nature of the company as a whole. They have a great overall mission and we can’t wait to do more shopping with them!